Windows 10 account comes with the option of using Microsoft accounts, but one peeve I have with it―through the out of box experience and addition through Settings―is the lack of control of the local user name it generates. I usually opt to create a local user account under “Other people” first and sign in with the Microsoft account I want to associate. 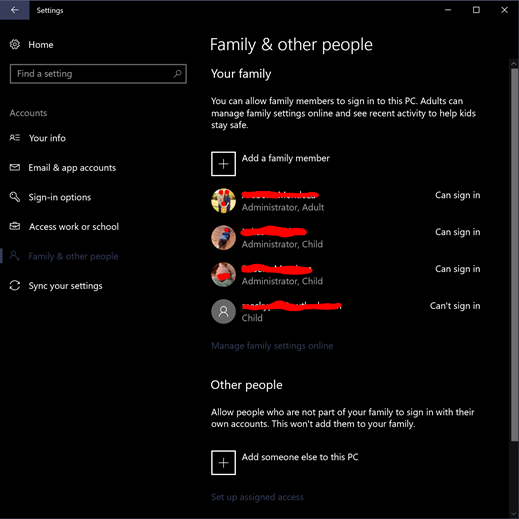 Another complication comes up if you have your family members’ Microsoft accounts linked under Family. This practically makes the method above impossible. When you try to sign in using a Microsoft account in the local account you created, you’ll be warned that it’s not possible since it’s already associated to another local account. To work around this, you’ll need to delete the placeholder account created by the Family feature. Right click on the Start button and click “Command Prompt (Admin)” and typing the following to display the account names on the PC. Some will be the placeholders―usually only a few letters of the first name. 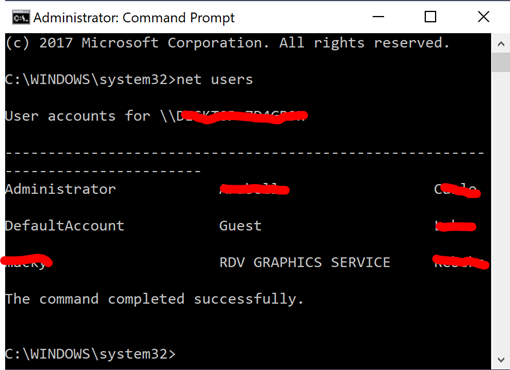 You should now be able to sign in the Microsoft account with the local account you created. It seems to recognize that it is now an account of a family member and gets listed under “Your family” with the Family features still intact.